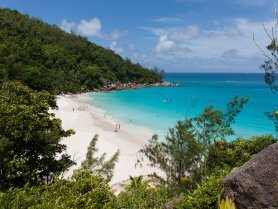 Anse Georgette is outstandingly beautiful, and an unsung hero of Praslin's beaches. 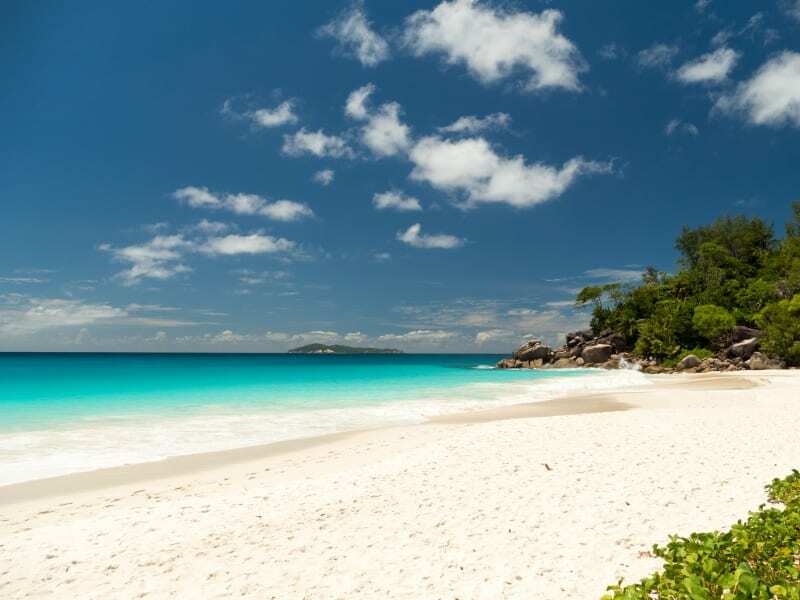 While Anse Lazio wins awards worldwide, Anse Georgette keeps quiet, hidden away in the grounds of the Constance Lemuria resort, remaining empty, untouched and a wonderful shade of blue. What makes it so unique - apart from being completely undeveloped - is that there isn't a single rock or piece of coral in the bay, allowing the white sands on the sea bed to create a wonderful turquoise coloured water that is unblemished. In our view it is the most attractive beach on the island - but it is unsafe to swim due to strong waves and currents that threaten to pull you out to sea. The astounding natural beauty of this little bay will truly take your breath away. 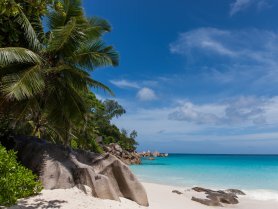 One of the most beautiful beaches in the world, it’s easy to see why Anse Georgette ends up as many people’s favourite Seychelles memory.